There is quite an epic article about Drexciya and their legacy by Mike Rubin at Red Bull Music Academy. There are lots of brand new interviews with people like Brendan M. Gillen, Dan Bell, Frankie Fultz, Liz Warner (Liz Copland of WDET FM), Cornelius Harris, Carola Stoiber (Tresor), Serge (Clone), Abdul Haqq, Kodwo Eshun, Mike Banks, Greg Tate and more. Even I was interviewed! There are great illustrations by Mark Dancey too. Some very interesting new information, lots to digest. A new Dopplereffekt live show has just been announced. They are on the bill for the opening event of the Present Perfect festival in St. Petersburg, Russia on 28th July. Actress and Clock DVA are also in the line-up. Dopplereffekt also have an upcoming Berlin show on 7th July at Tresor with DJ Stingray, The Exaltics, Helena Hauff and more over 3 stages, great line-up. The night is also to launch the DJ Stingray mixed Kern Vol. 4 on Tresor which features tracks by Drexciya, Dopplereffekt, NRSB-11 and many more. If you have pre-ordered Jack People's, Laptop Cafe, you may have gotten a message, as I did today, that 'the release date has been pushed back for all stores and is not set to be released until the week commencing 10th July.' This is not surprising with what I hear about pressing plant delays these days. Just a little longer to wait then for this unreleased James Stinson project. I am sure it will be worth the wait, samples here. I found this video overview of Sonar 2017, you can catch 30 seconds worth of Dopplereffekt live at the 6min 18sec mark. Looks good and sounds like a new female led vocal track. Typical, you wait years for one 'lost' James Stinson interview to turn up then two show up at once! I was not aware of either before and just found a mention of a Drexciya interview with the German print magazine, De:Bug, on some music forum on a random Google search and they turned up on their website. I don't know how long they have been archived there, maybe for a long time. If you can read German then go straight to it here. 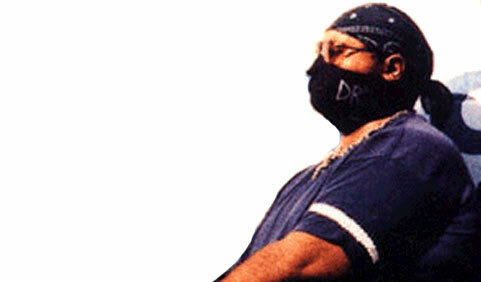 The first interview comes from January 2000 and was to support Drexciya's Neptune's Lair album on Tresor. This is quite an extensive interview but as I said the text is only in German. For English speakers I've used an online translation service (which is very far from perfect) and have archived just the questions and answers section below. I think it's close enough to get the gist of what he's saying and it means you actually have to read the text much more closely than usual to figure out for yourself what is being said, which is quite an interesting exercise. Although, if anyone has the time and would like to send me a closer translation please do. The second interview is much shorter and thankfully left his quite short answers in their original form, but in this case the questions are what get lost in translation. In both cases no journalist is credited. De:Bug: How do you come to release music on different labels like Rephlex and UR? It is perhaps to say: we are floating. If you have a relationship that is people based, then you may develop further, you can maintain a while, but then it may be that you are moving toward somewhere else. We move against the rules, and that is the one thing that we believe in, be against the rules. Not to do what someone tells us, and not to do what someone as the only road shows. Saying that we feel that it is a different way. De:Bug: Who says you have to? The industry. Such as Frank Sinatra said he made it in his own way, and this is exactly what we say. We do it our way. If we are dealing with other record companies, then we deal with other fragments of the business. Sure, you can say that 75% of the label your disks in the same area, but these sell 25% rest is also there. And in this way we are creating a larger territory. De:Bug: Did you ever come to Europe? No, but I plan it. For the year 2001, the 10th year of Drexciya. You could say that it was like in one of our songs, 'Species of the Pod', it takes ten years to hatch something, and if it is slipping, it is manifested as a completely different species. We have tested the water, if we have found a continuity, then we have here and there a record is released, then stop and again return to the laboratory in the cave, hibernating. 2001 is the time in which we travel, but now I go nowhere. There is too much work in the laboratory. De:Bug: The tracks to Neptune's Lair have several different styles? Yes. We try to have our music make something for everyone, 360 degrees, so that if someone does not like a track, he maybe can find another good one. If it is dance music or for listening, this is of no interest to us. We make music to the ears of the people to rejoice, because I wish to maintain the tradition that I grew up with. At that time, and heard the people music you happy powers. It was not made for ego or for money. De:Bug: What kind of music was that? I have heard everything. From new wave, Punk, Rock, Techno and Hip-Hop, or what it was at that time. Africa Bambaataa, Newcleus and so, and there was the P Funk Allstars, George Clinton, Jimi Hendrix, the B52's, Wham, everything. Here in Detroit new wave and hip-hop radio was most important. The musical talent of that time had a lot of energy and work in the music. It was not a matter of a couple of buttons to press. And we want to work just as hard ourselves. De:Bug: Is it possible that in Detroit you are perceived in the same way as here? Very low profile, unknown, something mystical? The people look to you but on the street. No, not really. I am very overcast. We are not in either posse, we do not go too often to parties and if there is a rather short time, inconspicuous, take care not to this "Show who you are"-Ding. I do not like this image to push. I must also not. It is more important to me if people can feel, what Drexciya is. This has nothing to do with the fact that we often had to see me. I want with my music like and perhaps with the visual impressions that it creates and accompany them. Animated videos to make better to show what Drexciya, because live videos are completely excluded, finally you had to add the real feeling of Drexciya to get a line in my head. De:Bug: who really is your partner? You know that I do not like to say, but well, it is Dopplereffekt. As we face a while Drexciya again on ice, to research, he decided to make his own project, and that is also nothing wrong. But we believe that the two things are very isolated. Maybe one day I work also solo, but now I am not ready yet. Drexciya can only be used with the two of us, because alone is simply a different sound. De:Bug: Would the concept of water still be so important when you are working alone? Let me say so. Water is the strongest element on this planet. If the polar caps would melt, then we were completely flooded, nobody could stand or as much water will evaporate. We are all dead, we're floating somewhere. It is the strongest, most dangerous, most beautiful, most fragile, most aggressive element there is. And that is what we are discussing. We are aggressive, lightweight, quiet, violent, can be beautiful, rough, ugly and all of these things with music. Water is also the place where there are no problems, up here is so exhausting. We try to keep this violence of Drexciya. Drexciya is really peaceful. Therefore, we also always return to this peaceful, jazzy, ambience side of life. The military point of view that UR use is very strongly for us more as a reservoir. But after the reserve we always come back to Drexciya to be what we are, civilians. I have met a lot of people, if you hear our tracks and the title to know, understand and be able to feel, where we come from. We always title our tracks after we make them. Titles add an additional dimension for the tracks. If we make pieces, it is always also a moment we produce. It's all live in one or two takes. If something static noise, then there is the whole of a signature. It can never be remixed. This is important to us because we never saw anyone a Drexciya track remixes. We would not even ourselves. This destroys the music and what music should be. I hate it. And I see that as things happen, I despise. Remixes are an agent of segregation. There are various mixes for different "races". Why can it not only ne one for all, as it once was? Music is for everyone. You try to separate us so. The music industry. And the people are not talking time over all the R Kelley's and Whitney Houston's, you know it will probably still not time. They do not think about how the remix will be used for and why. On the so-called black radio stations was formerly everything, but now only "black music". The separates us mentally, and not so shall it be. And I will be not be a park of this plan of the industry. De:Bug: But segregation was at least before. Yes, there were always segregation, but we have tried to get rid of them. And in a certain way they have re-established. Then came the people really. Through the music. And they heard everything. De:Bug: and it was also very important for the history of music Detroit. Exactly, it brought things in gear. It was more fun. And the people were quieter, safer. Now everything is much one-sided. Tunnel Vision. There is no other taste more. This is not good. De:Bug: What can you do? I can only hold itself out. Not to participate and refuse me. The other must be aware of what is happening and cease to participate. Perhaps the people waking up in a sort of snowball effect. De:Bug: Will the next Drexciya record again take so long? No, this is the calm before the storm. You can hear it. See it on the titles. If you are truly intelligent and I like that the people who like Drexciya are all thinkers, intelligent people, then you will hear what is going to happen. We have to actually say nothing about. Listeners can Drexciya us the lyrics. De:Bug: What do you think about the change of underground resistance has given some time ago, when she suddenly with high-tech radio as a kind of new focus appeared everywhere. I can't talk about this. I am rather too remote from it. The reason for this is that I am not the vibes of the other wants to take over. I am sure own. But if you do a lot with someone are, then puts you in their nature, their movements and words. I do not in the music. I also try not to pursue what is musically happens. This gives me energy and keeps me fresh. I am trying to be myself in a certain way some of the things to be naive to hold. I do not know, do not know and I don't want to know. The only thing that I need to know is whether there you goes well, and you, whether it goes well and that you have will help if not. James Stinson email interview from De:Bug magazine from 18th July 2002. The interviewer comments that the answers are very short and don't always answer what was asked (the translation of questions are not accurate so it is a little confusing but the answers are what he sent them). De:Bug: What technology plays a role in the world of Drexciya? Technology plays a big role in the Drexciyan R.E.S.T program. R.E.S.T= research, experimentation and science and technology. You have new sound aesthetics on Harnessed The Storm, how did you change your production conditions? 50% altered and it will be altered again and change is good. What does a digital tsunami feels like? Digital tsunami is like sitting in a 5×5 anti-gravity room set on zero gravity surrounded by speakers and the rich pure sounds pushes you in many different directions. How exactly do The Other People Place and Transllusion projects fit with Drexciya and for what purpose is this? They are some of the mechanisms that form and harness the storm that has been created. They are just two of six black stabilising spheres. 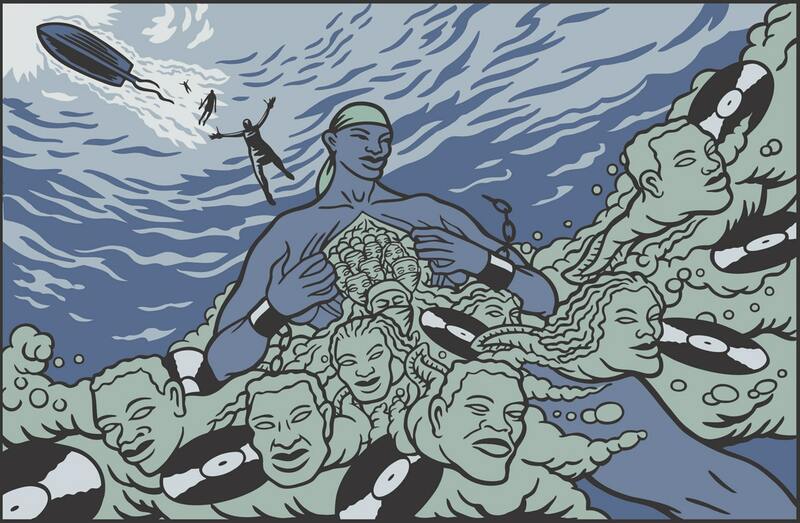 Furthermore, Drexciya makes it clear that inspiration for his own work comes pre-eminently from God, but in no case from the current electronic music, because that would destroy the experiments as Drexciya describes her sonic deep sea excursions. Not to say that their projects are bad. It means everything. Without tradition there would be no music. In 1999 Drexciya was shedding a layer of skin. Now this is the new beginning, a few interviews will be done and there will be no more for quite some time. Due to a heavy R.E.S.T schedule.